Weeshing chief executive Scott McIntyre has outlined how the concert crowdfunding platform can revolutionise the ticketing and live events industry after beginning operations in the North American market. The company was founded in Chile in 2014 with the aim of breaking monopolies in the music industry by giving power back to the fans and the artists. Weeshing encourages fans to invest in shows they want to see, offering perks such as VIP experiences and front-row seats for those that participate. In the three years since its crowdfunding platform launched, Weeshing has helped drive nearly 750,000 fans to concerts of their choice, raising $8m from over 10,000 members in nearly 2,000 investments. 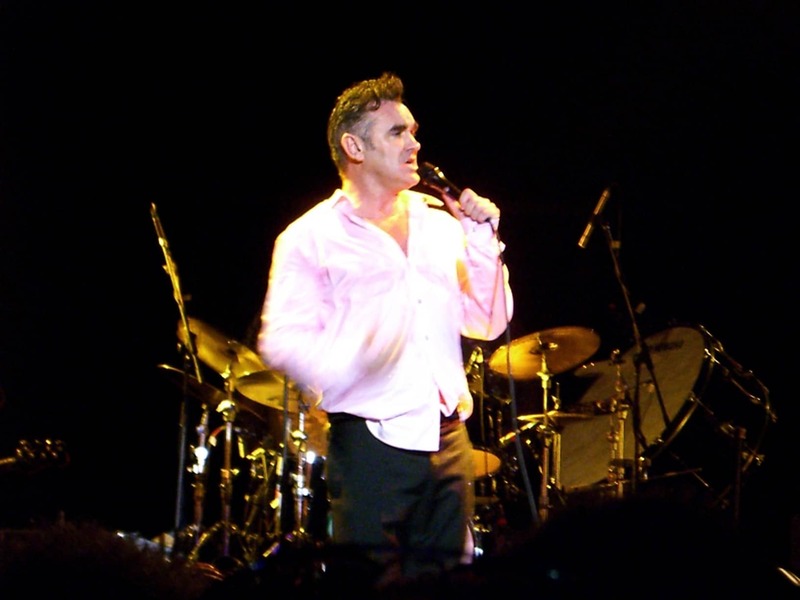 Artists such as Morrissey, the Pet Shops Boys, Megadeth and Belle and Sebastian are among those to have had events funded by Weeshing partnerships. Having recently opened offices in Miami and Puerto Rico, the company is now led by McIntyre, an alternative finance pioneer who has been the president of the Crowdfunding Professional Association (CfPA) for the last five years. TTB: Why are fan clubs becoming increasingly important in the ticketing and live events sector? Scott McIntyre: “Fans are a representative sub-set of consumers in general. Look at how crowdfunding has powered an entirely new sub-industry inside of alternative finance, generating billions of dollars in capital for entrepreneurs and ideas…and albums and tours. “Music was one of the very first expressions of the power of the crowd (fans).This is all because crowdfunding democratised access to capital, turning regular people into investors/benefactors with a tangible share of their support, whether in merchandise, relationships, tickets, or profit. “It used to be that the studios controlled everything. Then desktop computers took their production revenue out. It used to be that CDs made artists a living. Now it’s streaming and live performance – but with so much risk in staging smaller, older or unknown artists, the industry supports mainly only big ones that fill stadiums. Until Weeshing. TTB: Returning music ‘to the real fans’ seems to be a mantra for politicians, musicians and many ticketing operators. What are your thoughts about legislation and innovations such as Verified Fan? SM: “I’m not a fan of Verified Fan. It’s a money grab that basically says, ‘you’re already promoting me for free, so why don’t you actually just pay me too, and then do more of that at least knowing you can buy your way to the front of the line for a ticket, but only after you paid more than retail for the album’. “It’s absurd and has backfired. That’s the problem now; these strategies may hope to be opaque and not divulge their true purpose, but the crowd has a very keen nose for BS and all-too-eager fingers to virally spread their displeasure over a bad deal. “I’m not sure regulation will solve the problem—and I’m also president of a non-profit trade group that watchdogs financial regulators, so I’m not just guessing. TTB: What role can Weeshing play in changing the ticketing industry? SM: “Well, aside from allocating tickets to our investors based on their investment amount (VIP tickets, experiences etc), which takes some of the scalped tickets off the market, for pre-sales ticketing specifically, we have a model in development that will allow ordinary fans to indicate interest in a show in advance, but only make the transaction after the show’s break-even point is reached. “This allows us to further refine our Analyzer algorithms so we have an even better portrait of the risk of a show, all driving down the cost of booking an act, meaning more artists on more stages, and more fans in more crowds at lower costs. “This is pure economics at a certain level – competition breeds refinement, drives down cost. Monopoly breeds corruption and cost. TTB: What is Weeshing looking to achieve in the coming year? SM: “We’re looking to offer the Latin American market to any number of firms/agencies/brands that want to get in without having to develop relations with a sometimes-shifty marketplace there. And fluctuating currencies. And ground-based marketing. So, that springboard has been cited as valuable.